Join WatchGuard for a discussion around zero-day threats and the need for enterprise grade firewall security solutions and effective multifactor-authentication technology to be accessible for small to medium sized businesses and distributed enterprise. 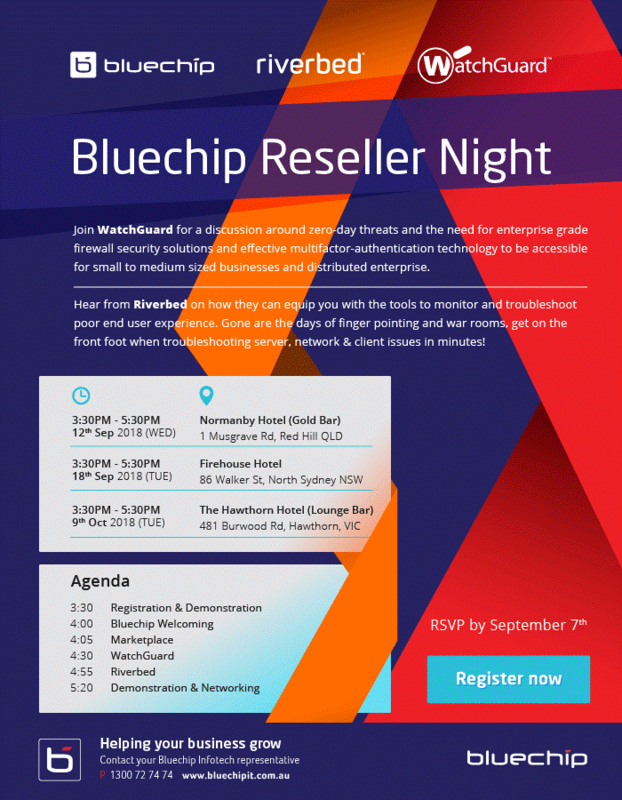 Hear from Riverbed on how they can equip you with the tools to monitor and troubleshoot poor end user experience. Gone are the days of finger pointing and war rooms, get on the front foot when troubleshooting server, network & client issues in minutes!